Ever since my trip to Bucharest in February, I have wanted to go back to Eastern Europe. I really love traveling here, as it is so amazing and different from what I’m used to. I planned a trip to Sofia, Bulgaria from March 11 to 13th, taking advantage of another Ryanair deal I found, for 26€ round trip. My blog post about what I did and other observations will follow. Unfortunately, my planned two-day trip turned into a four-day trip, thanks to airport strikes in Berlin which cancelled all flights on Monday and Tuesday, March 13th and 14th. I found out that my flight was cancelled around 5 PM on Sunday, about 27 hours before I was due to return to Berlin (on Monday). Knowing that everybody on my flight would be clamoring to get on the next available alternative flight, I immediately went on the website to change my flight. 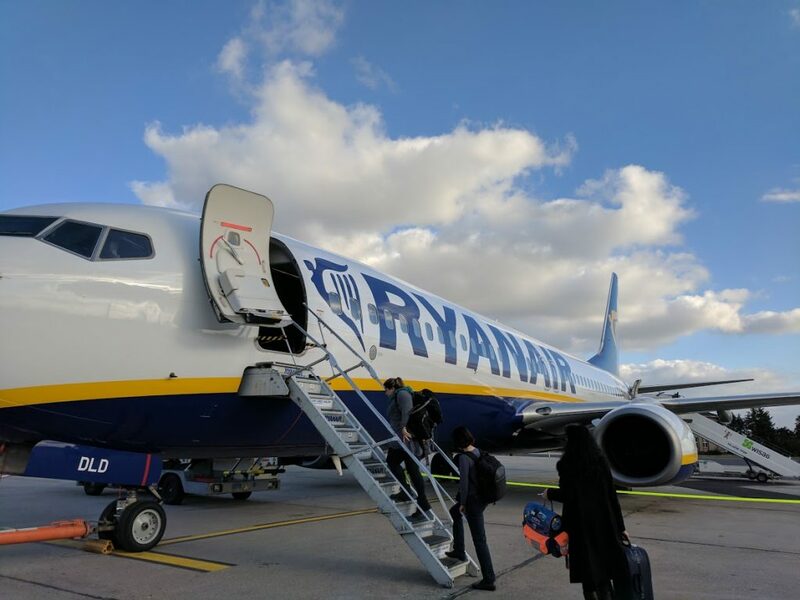 Ryanair runs only one flight per day from Sofia to Berlin, and Tuesday’s flight was full. I was lucky enough to get a confirmed seat on Wednesday evening’s flight back to Berlin. Thanks to the European Union (EU), passengers enjoy certain rights for all flights to, from, and within the EU. In this case, despite the fact that the strike is out of the control of the airline (similar to weather disruptions), they still must provide hotel accommodation because the replacement flight isn’t the same day. In my case, Ryanair was only willing to pay for one night directly, and I could apply for reimbursement for the second night. I opted to take the first free night in the hotel, and then return to my hostel, since getting reimbursements and compensation from airlines like Ryanair is very difficult. 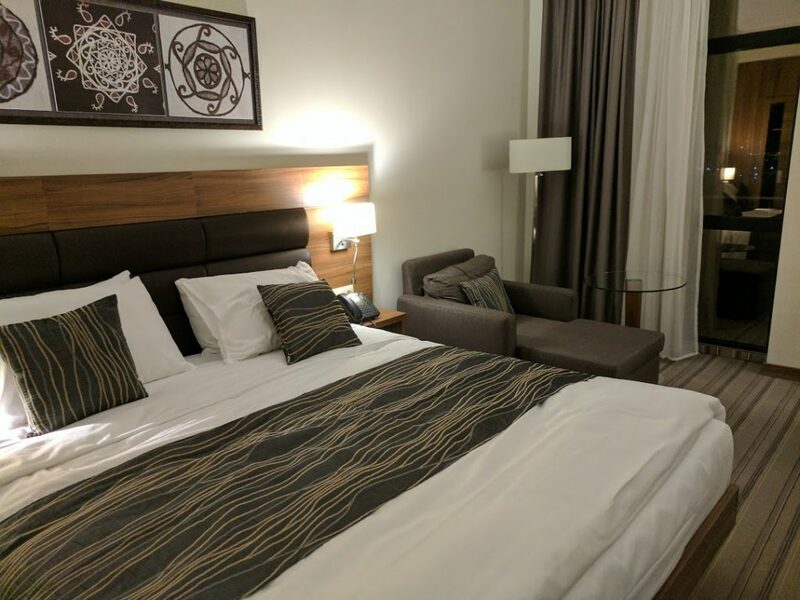 My hotel room in Sofia for one night. Thanks Ryanair! While extra compensation is also guaranteed for many cases under EU law, I’m not eligible in this case because of the strike being out of control of the airline. I was still impressed by my free night in a nice hotel though, as in the US, the government doesn’t guarantee these rights to US passengers. One downside of my luxurious hotel experience was that the only way to reach the hotel was by taxi, so I had to take a taxi all the way from (almost) the airport into town. Luckily this only cost USD 6, a far cry from the $60 or so it would cost in other cities such as Washington DC (IAD,BWI) or Berlin (SXF, someday BER). On Wednesday evening, I successfully took the flight back to Berlin, only two whole days later than planned. As frustrating as this delay was, there are a few silver linings: 1. At least it was in an affordable city like Sofia and not an expensive city like Oslo, 2. It gave me more time to immerse myself in the Bulgarian culture (and language), 3. The food… I would go back just for the food…, 4. I was able to spend some quality time on the trams and subways, and 5. I love adventures. Stay tuned for the full trip report!